For companies in Dallas, Fort Worth, and surrounding cities in TX that rely on high-quality cutting tools in their day-to-day operations, partnering with an industrial supplier they can trust for quick and efficient delivery is of the utmost importance. That’s why for businesses in these areas, the optimal choice is CRC Inc. of Texas. 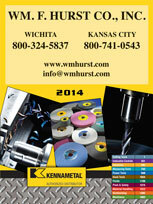 Our company, which was recently acquired by noted Midwest industrial supplier Wm. F. Hurst Co., LLC, has served companies in the Lone Star State for years. During that time, we’ve earned a reputation for providing durable and high-performance cutting tools as well as unmatched service to our customers. Now that we’ve merged with an incredible partner, our product offerings have greatly expanded. Furthermore, no other local distributor is able to match the collective industry knowledge of our staff or meet our unwavering commitment to superior service. 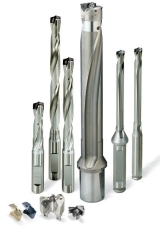 Whether you need end mills, counterbores, drill bits, taps, or indexable tooling, at CRC Inc. of Texas, we’re confident you will be able to find exactly what you need among our comprehensive inventory. Contact us today to learn more about the cutting tools we have available for businesses in Dallas, Fort Worth, and surrounding cities in TX.